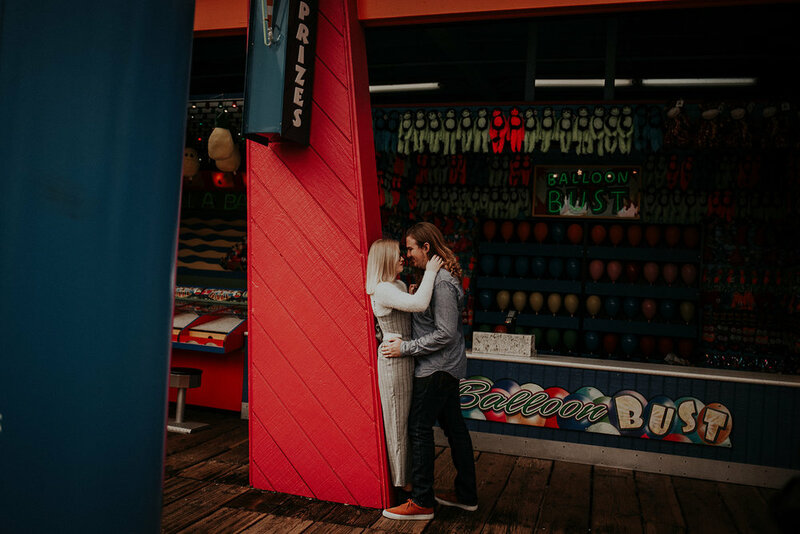 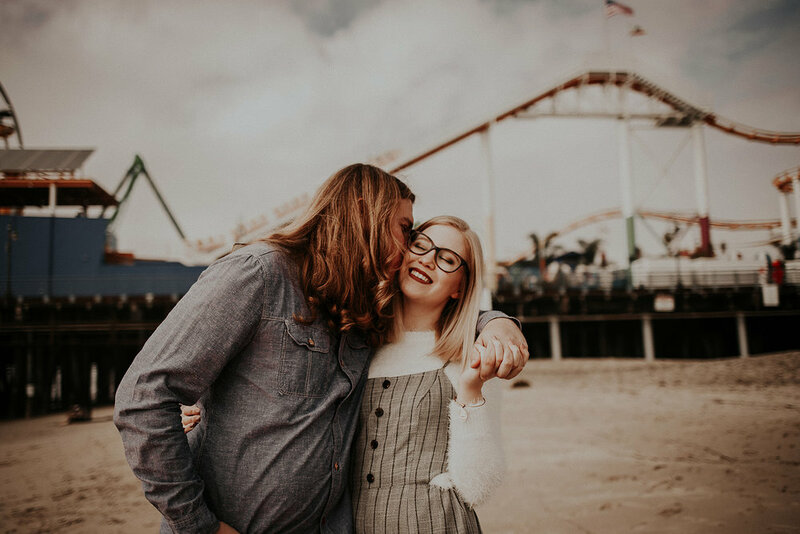 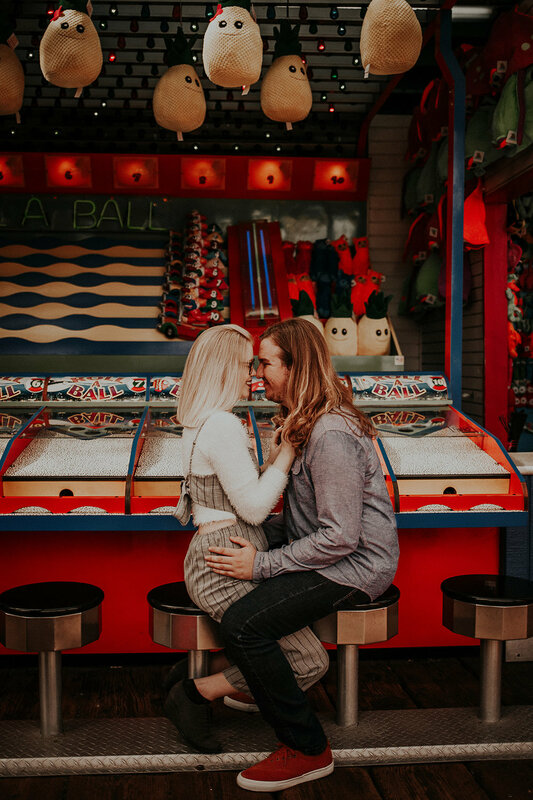 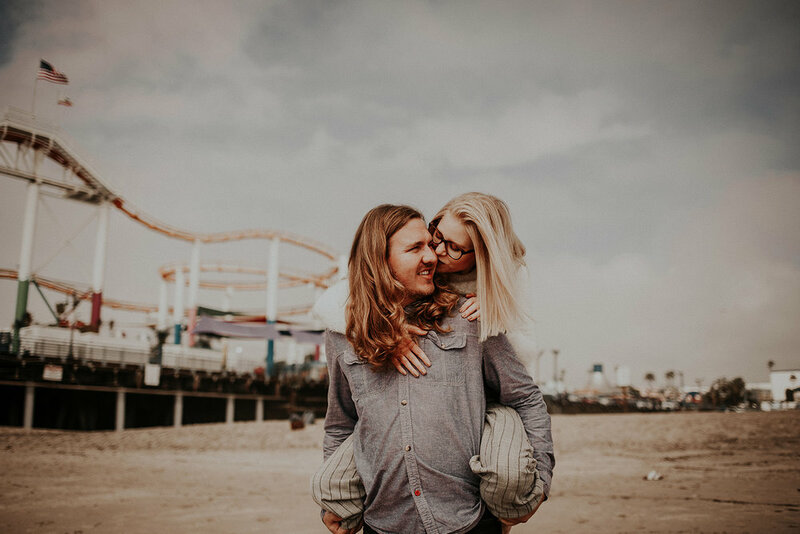 I’ve always wanted to visit the Santa Monica pier and when I lined up this session with Sam and Austin when visiting the Los Angeles area I was so excited. 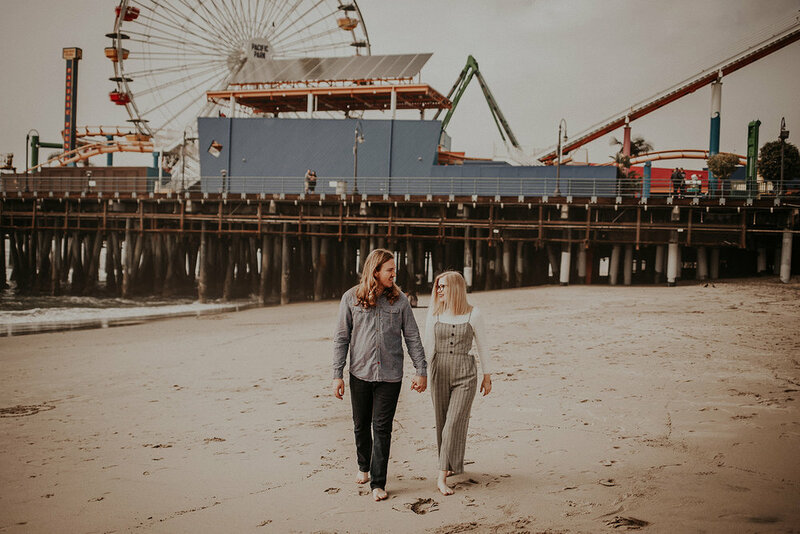 California is such a magical place, it literally has everything you could ever want all in one state and there is something to do everywhere you look. 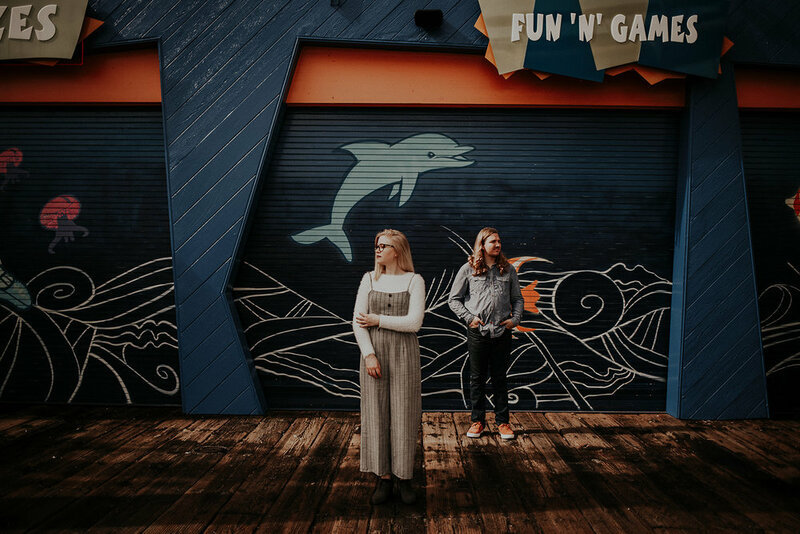 The pier has stood for over 100 years and it’s home to a full amusement park, tons of souvenir shops, restaurants, and street performers. 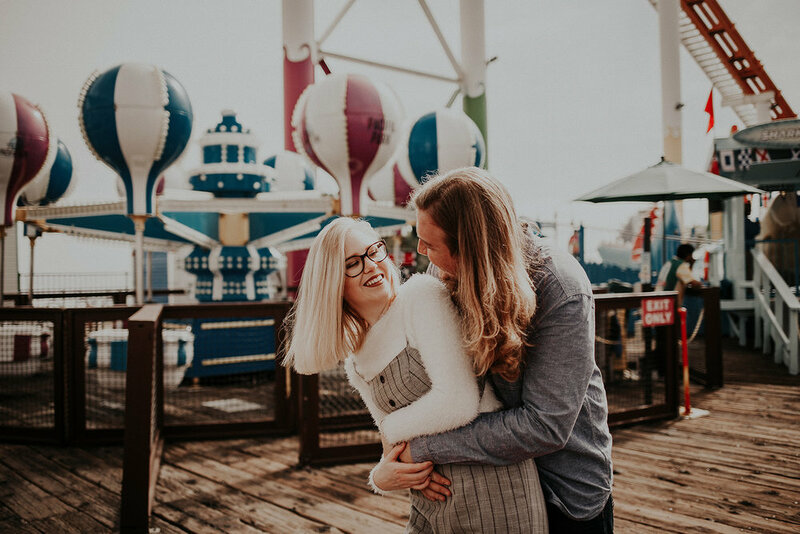 I could have spent all day exploring the pier and the beach below with these two.